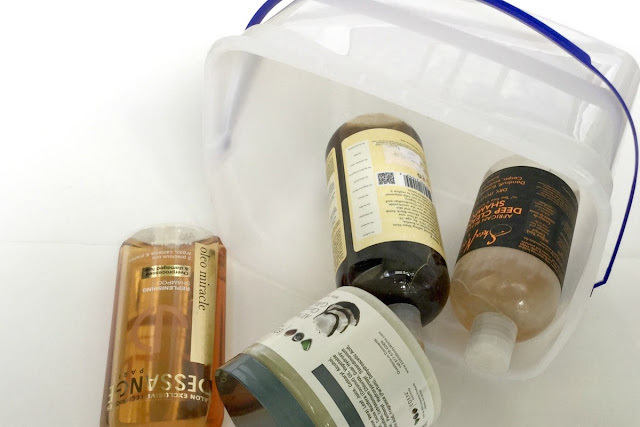 When I started my relaxed hair journey I was trying lots of hair care products, different shampoos, conditioners, stylers, oils...well you get the idea. With all of those products comes the challenge of finding somewhere to store them so I had to find a creative way to store them in my bathroom without taking up too much space. This is where the ice cream containers come in. You heard right, ice cream containers. 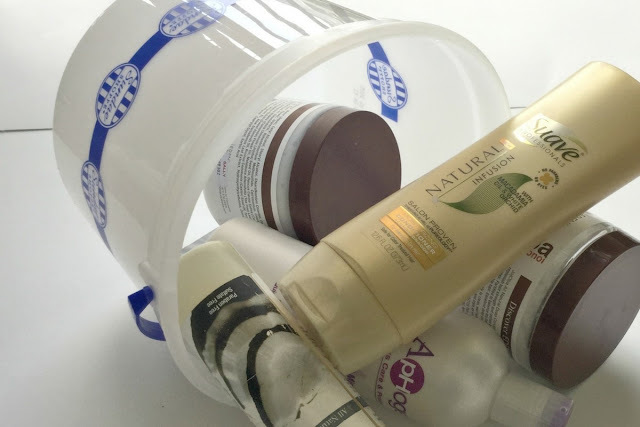 I'm an organizer by nature so I use one bucket for shampoos/cleansers, one for conditioners and one for stylers. By having the products in the buckets I can fit everything in my bathroom cabinet without anything falling down and causing a mess. 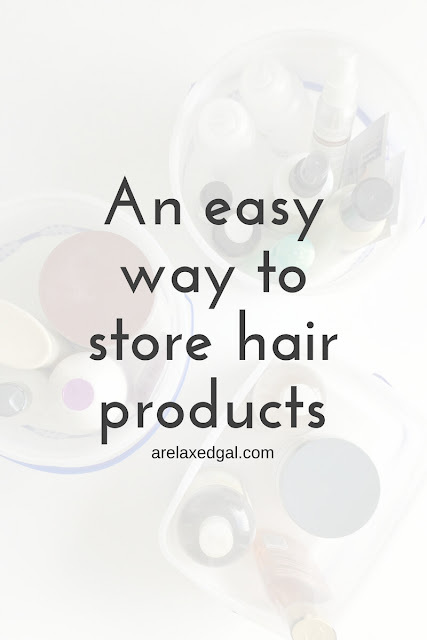 How do you store your hair care products?